Pattiyagama Kanishta Widyalaya is a school where talented young individuals are found. These individuals despite being talented were unable to move forwards due to the poor to none facilities in the school. 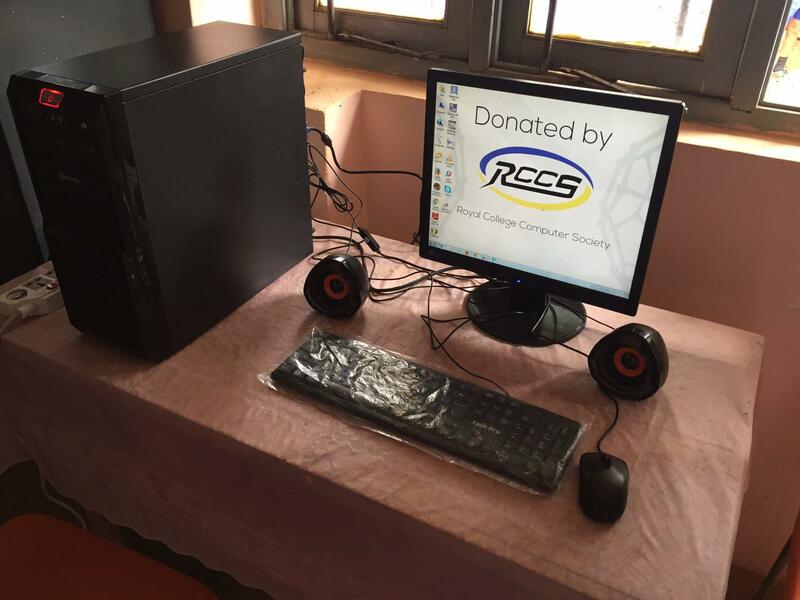 The Royal College Computer Society generously donated a PC to this very remote school so that the students would excel in the field of ICT showing the nation that Royal College Computer Society not only develop and distribute knowledge within the school but also contribute towards the development of ICT literacy in the country.